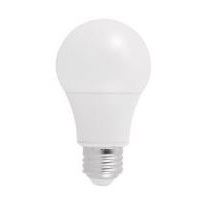 This lamp is part of Maxlite's A19 NON-DIM SERIES GEN 2. It has a low power consumption have 9 watts and provides 800 lumens for light output. It has an average life span of 15,000 hours while being suitable for dry and damp locations. This product has 3 year warranty and is energy star approved. Wattage Equivalency: 60 watts Inc.